Alfa Romeo Is Bringing A $70,000 BMW M3 Killer To The US. Alfa Romeo's return to the US was applauded by many a car enthusiast, thanks to the 4C coupe, the brand's first new product in the US market since it returned after a two-decade hiatus last year. The 4C drives so well that it's been called a "Ferrari for half the price," which gives you an idea of what Alfa Romeo is aspiring to be in its second go-around stateside. Despite the general shift toward fuel efficiency and hybrid and electric technology, the Italian carmaker is banking on American buyers' affinity for speed. That's probably a wise decision, but if you're planning to stare down BMW — the king of the sports-sedan universe — you also need to come with another car up your sleeve. It should have four doors and be able to go fast in the twisties. After all, no automotive brand can survive in the US without a good four-door sedan. And you can't show up with just any sedan — there are more than enough grocery-getters on the market to choose from. 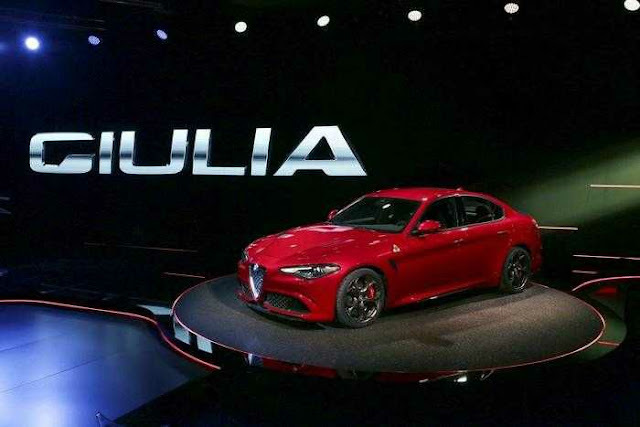 Thankfully, Alfa Romeo seems to be fully aware of that reality — hence the carmaker's latest reveal at the 2015 LA Auto Show: the Giulia Quadrifoglio sedan. That's Italian for "M3 killer." The Giulia sport sedan will hit US shores with a Ferrari-derived biturbo V6 engine that sends 505 horsepower to its rear wheels. 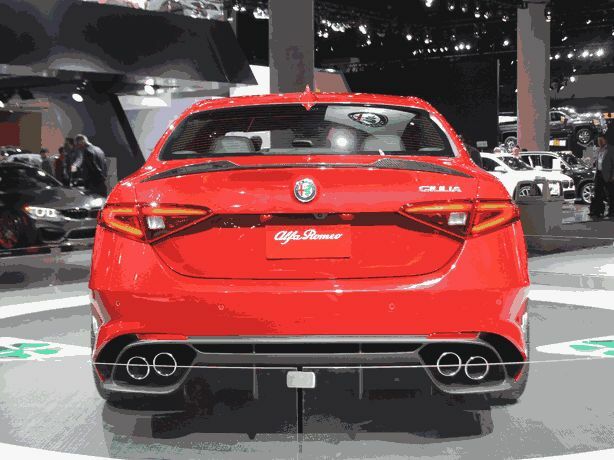 Alfa Romeo says it will run from 0 to 60 mph in 3.8 seconds. And, because you'll definitely need it, it comes with beefy carbon-ceramic brakes, and a full suite of the kinds of safety features you expect from a $70,000 luxury sport sedan — like lane-departure warning, adaptive cruise control, and autonomous braking. We likely won't see any Giulias in US dealers until late 2016. But if the performance numbers and hype are to be believed, then we can quote the brand and say that "love is worth the wait."